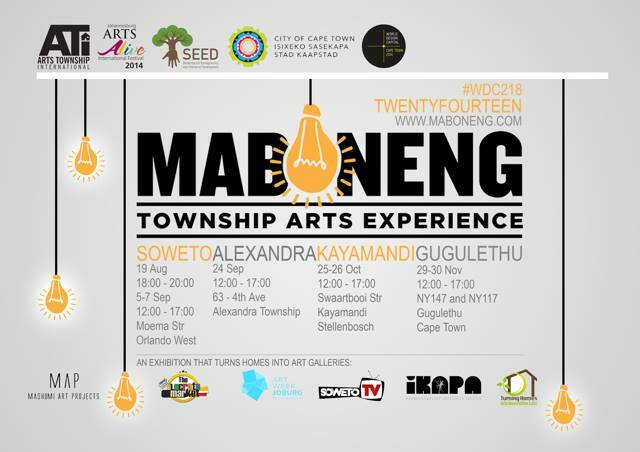 Embark on a cultural journey throughout our homes and spaces in the townships, experiencing arts, culture and the life and soul of a community. Imagine a township street that is vibrant and inviting with homes on either side open all year round to visitors as galleries, performance spaces, museums, home innovation laboratories and flowing with the sights, sounds and flavors’ of working people from the community, the city and further abroad exchanging stories and ideas, foods, training, history and culture. Imagine the business concerns in each of these homes is operated sustainably by residents who are skilled in the contemporary production and curation of visual and performing arts and the effective management of co-operative businesses, with reciprocal access to a network of visitors, artists and other communities from around the city, the country and the world. This event will be featuring some graffiti painting by local Cape Town artists.